Loonie. As in Canadian Currency. And in the panel with cracklin’ goat brain, why does it say ‘face’? Hehe, I love me some French Toadst! Weed’s racking up alter egos faster than Jason Bourne these days :D Awesome! 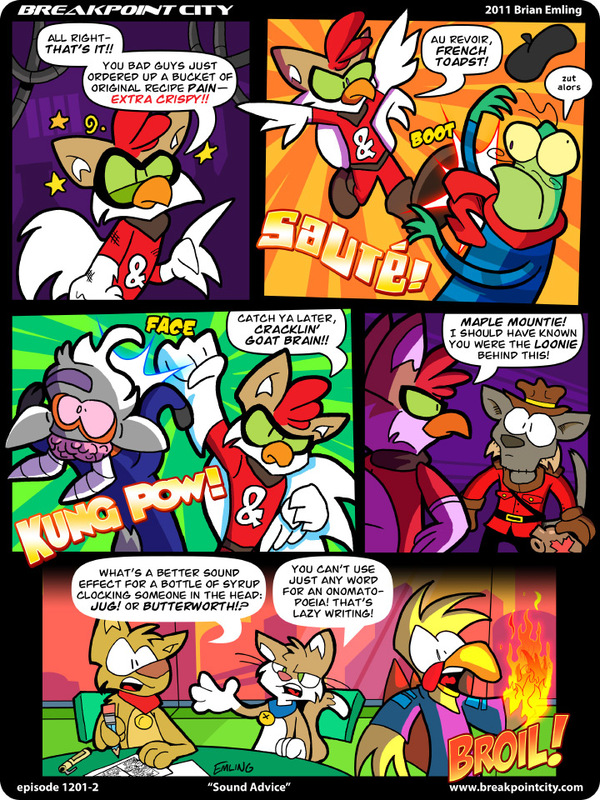 @Adara The same reason why in panel 2 it says BOOT! These kind of sound effects are my favorite.